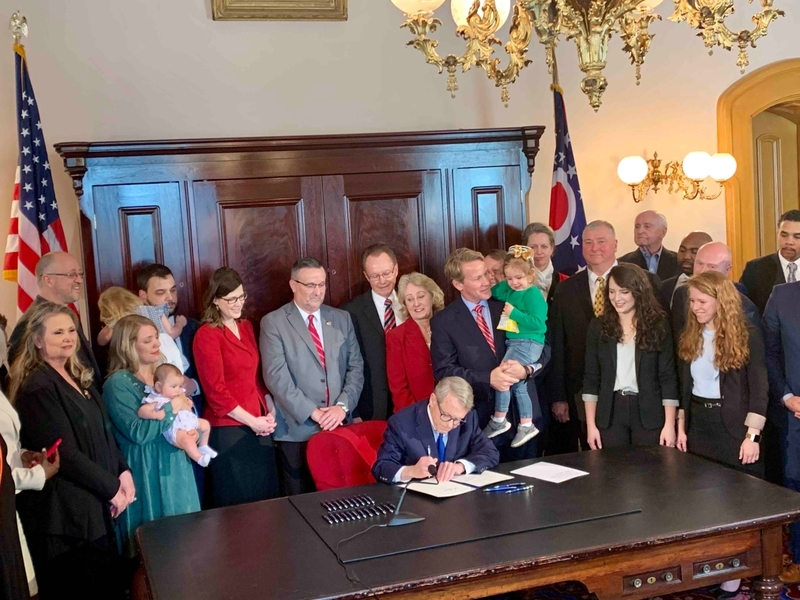 Governor DeWine signs Senate Bill 23, Ohio's Heartbeat Bill. Senate President Larry Obhof signs the Right to Life bill while surrounded by senators and advocates for the unborn. 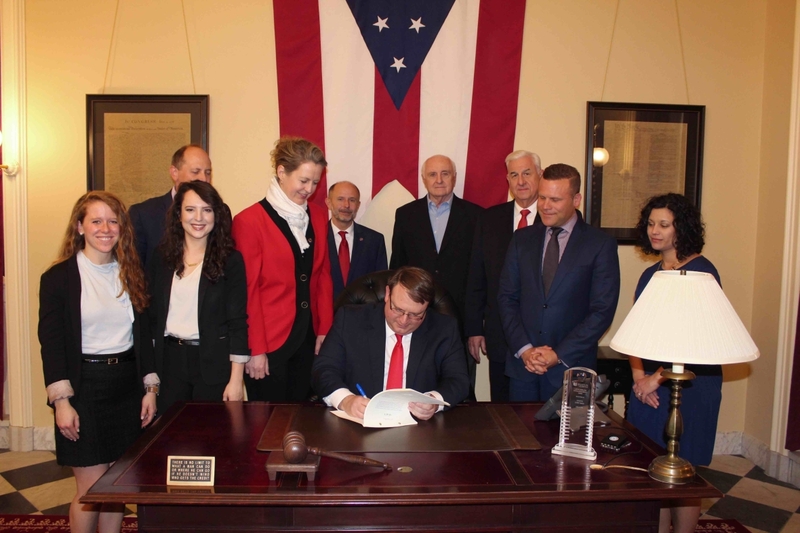 COLUMBUS—State Senator Kristina Roegner (R-Hudson) announced today that legislation reaffirming the Senate's strong commitment to protecting the right to life for Ohio's unborn children has been signed into law by Governor Mike DeWine. “I am delighted that today the Governor signed a bill, boldly declaring, that Ohio will protect an unborn life,” said Roegner. Senate Bill 23, sponsored by Roegner, generally prohibits an abortion if the baby has a detectable heartbeat, one of the clearest and most universal indicators of life. The bill, often referred to as the "Heartbeat Bill," passed both the Ohio House and Senate on Wednesday. "This will be one of the most protective laws in the nation," said Senate President Larry Obhof, who co-sponsored the bill. "Ohio stands in contrast to states like New York and Virginia, which are headed in the wrong direction." The Ohio Senate has passed the Heartbeat Bill in two prior General Assemblies, but the bill was twice vetoed by former Governor John Kasich.